I love free stuff. But when I can't get something for free, I love getting a good deal. From reading some polish blog reviews, I came across Trans Design, Inc. which sells nail polish and nail related items galore. After seeing multiple swatches, I decided to restock my collection. Since some of these polishes have been out for a while I got them at a discounted rate. Score!! 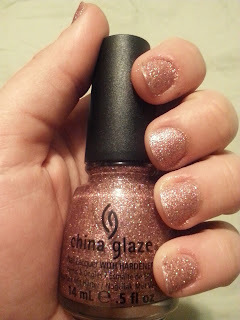 I'll eventually get around to reviewing all of my new polishes, but here are two new glitters I've recently picked up from China Glaze. United was part of China Glaze's Breast Cancer Awareness Collection for 2012 called the United In Purpose Collection. 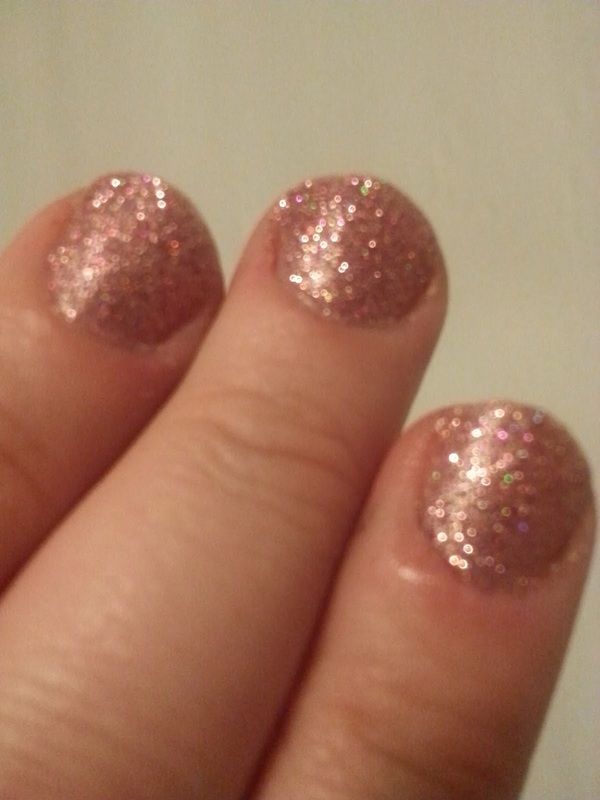 I'm a huge fan of glitter nail polish and pretty much anything pink, so I had to get this polish. 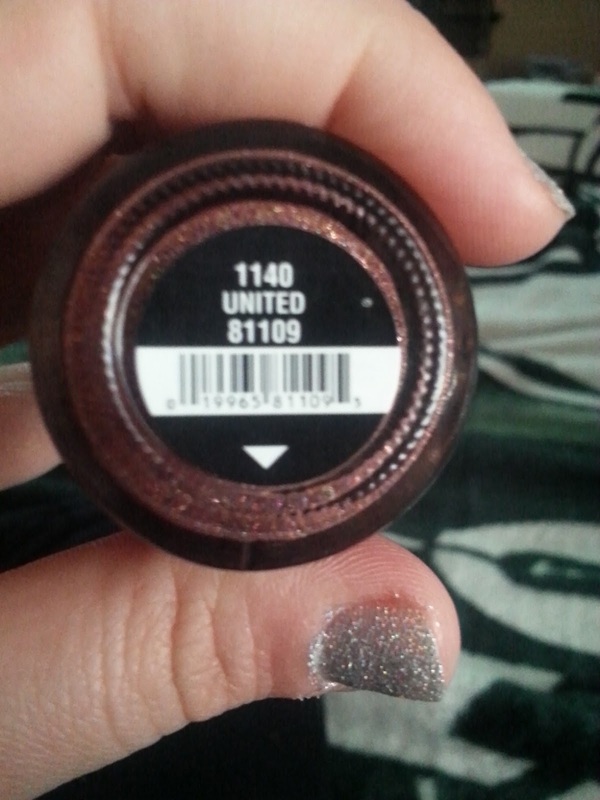 It looks very similar to Hello Gorgeous!, another color in the collection, but I went with United because it's a bit darker. It can be a bit hard to see the full effect of the glitter, but I love how in the right lighting you can see all the different color flecks in the glitter! So pretty!! I couldn't stop looking at my nails! 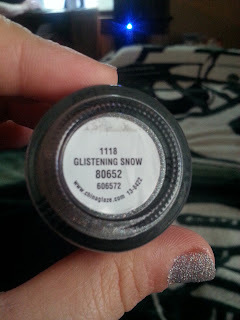 This glitter is very wearable for day-it's eye catching but not overpowering. Glistening Snow was part of China Glaze's Holiday Joy Collection for Holiday 2012. Again, you can't get the full effect of the glitter in these pictures,but it sparkles beautifully in the light just like United. 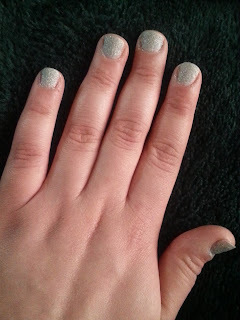 This color is perfect for the holidays, but could also be worn other times of the year. 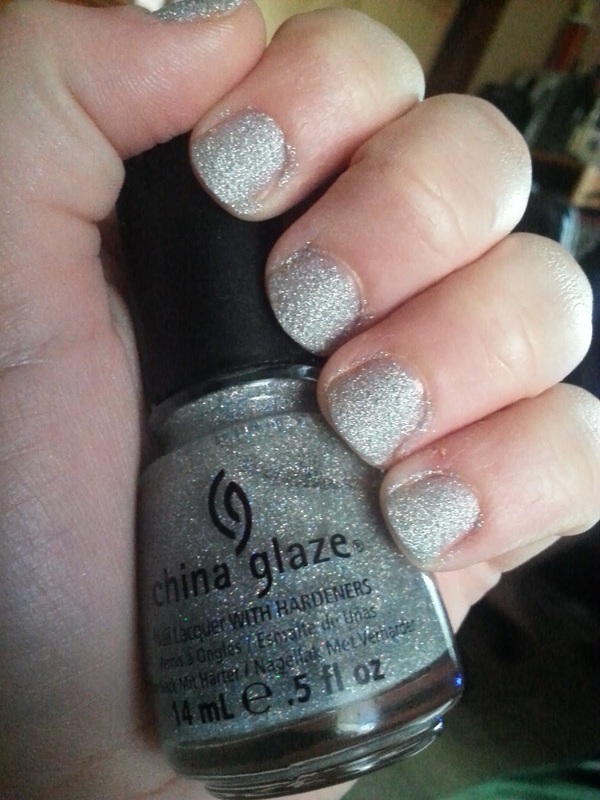 Silver and glitter are a perfect combo, making this polish perfect for wear on a night out on the town. However, while I like this color, I feel I'd get more wear out of United.